King's Gambit Falkbeer Counter Gambit - Chess Gambits- Harking back to the 19th century! The Falkbeer is a counterattacking response to the King's Gambit, often used with the aim of offering a pawn sacrifice. After 3.exd5, Black's objectively best course is probably 3...exf4 which typically leads into a Modern Defence (1.e4 e5 2.f4 exf4 3.Nf3 d5) and has the advantage of preventing the line 3.Bc4 d5 4.Bxd5. However, since I have covered the Modern Defence in detail here, in this section I will only look at Black's alternative follow-ups. I have looked at whether White can side-step all of this with 3.Nf3, but I slightly prefer Black after 3...dxe4 4.Nxe5 Nf6, so I suggest that White sticks with the standard 3.exd5. I used to think this line was bad for Black, but recent investigations, notably by Boris Alterman, have resurrected Black's chances and it is probably only slightly better for White with best play. White should challenge Black's e4-pawn immediately with 4.d3, since 4.Nc3 Nf6 brings Black closer to getting castled on the kingside, giving Black options involving letting White play d2-d3 and d3xe4, and then hammering White down the e-file. 5.d3 Bb4 6.Bd2 e3 is one well-established problem. After 4.d3 Nf6 5.dxe4 Nxe4, White can emerge with a good position with 6.Be3 if Black plays the obvious 6...Qh4+, but perhaps surprisingly, Black is doing quite well with 6...Bd6!?. Therefore White should prefer 6.Nf3, whereupon Boris Alterman's recommendation 6...c6!? gives interesting play, though I think White should have slightly the better of the chances. There is a complicated line with 6...Bc5 7.Qe2 Bf5 (7...Bf2+ 8.Kd1 Qxd5+ 9.Nfd2 is a very important resource for White) 8.Nc3 Qe7 9.Be3, but this should favour White. Black strives for rapid development and piece activity. This line, too, is playable but probably a little better for White with best play. 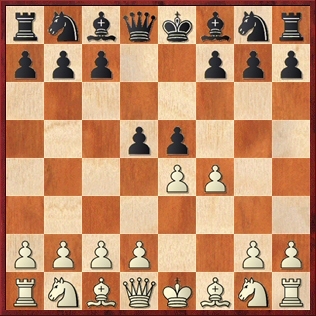 White should not take on c6 immediately, but following 4.Nc3 exf4 5.Nf3 Bd6 6.d4 Ne7 (6...Nf6 7.Qe2+ is awkward for Black) White can take on c6 under more favourable circumstances: 7.dxc6. Black ends up with long-term difficulties defending the f4-pawn. Of these, the most important is 2...Nc6, which can be followed up with 3.Nf3 f5! ?, a counterattacking response, but White tends to get slightly the better of a complicated position after 4.exf5 e4 5.Ne5. 2...d6 is not bad if Black intends to meet 3.Nf3 with 3...exf4 reaching a Fischer Defence, but if Black doesn't take on f4, then Black ends up with a passive version of the classical King's Gambit Declined, with the f8-bishop locked inside the pawn chain.